Black-lacquered steel structure with directional base (amplitude of 160°). 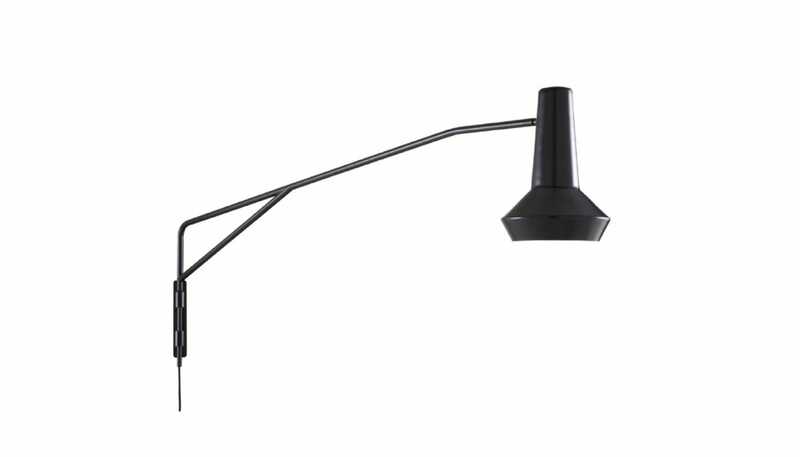 Black lacquered aluminum shade, on ball-and-socket joint. Black textile cable with foot switch.